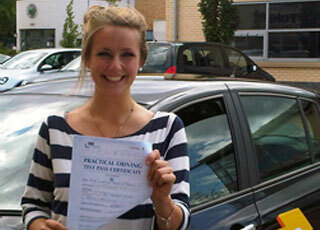 Driving lessons in Salford offered by Go 2 pass Driving school. 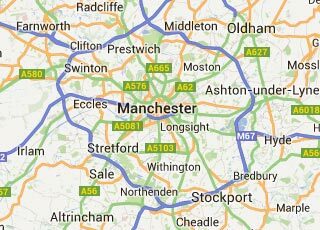 Wanting driving lessons in Salford? Salford is an easy and diverse area to learn how to drive, with a host of challenging roads to test all your skills in an environment which our driving instructors are extremely well educated in the driver training field so they can cater your driving lessons to the streets and routes that will enhance these skills we will teach you. 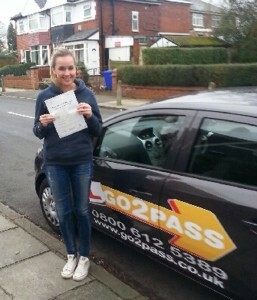 Why driving Lessons in Salford With Go 2 Pass? We have an 80% average pass rate on first time tests so whether you’re taking driving lessons while you’re still a student, in full time employment or just to gain a valuable skill, we can arrange lessons to suit your schedule. We can also work around your schedule to slot in your driving lessons Salford at a convenient for you, with a choice of morning, afternoon, evening and weekend lessons so you can arrange your lessons family, work and other commitments to make your driving lessons an enjoyable and exhilarating experience. Agnes from Salford Passed her driving test at Cheethamhill, she was learning to drive with Phillip Lamplough, well done. 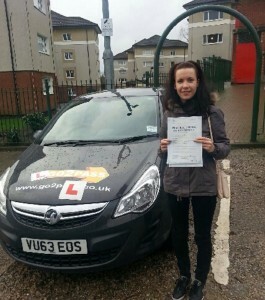 Chloe Garner from Salford passed her driving test on her first attempt learning with Phil at Cheetham Hill. Our driving instructors in Salford have been in the industry for many years they are familiar with lesson planning and do so you can make the most of every minute with your male or female instructor. You can choose from a variety of opportunities to suit your needs, as we understand not everyone can give an equal amount of time or money to the process. We understand that learning to drive can be costly for some, and therefore when you choose our driving instructors in Salford they will aim to get you on the road in as quick amount of time as possible without compromising on quality. There is always the option to take a few lessons at a time, as and when you can afford it; we are sure that once you’ve had your lessons, you will see why our driving instructors in Salford are much sought after. They offer a relaxed a friendly atmosphere that has an emphasis on our students needs. Competitive prices and discounts for Bulk booking. Lessons starting from Just £18 per hour. We will see you through this experience from beginning to end, offering free theory test training so we can help you every step of the way not just on practical lessons like many other driving schools in Salford. No matter what driving experience or lack of it our driving school will help you every step of the way. Our Salford driving school understands that you will be at your most productive when you are in an environment where you are comfortable and at ease. Although we want to get you on the road in a quick and efficient amount of time, we will make sure that you are learning at a pace that suits you and will only advise you to take your practical test when you feel safe, comfortable and self – assured in your driving skills. for an informal chat or to book driving lessons in Salford with us call us now.